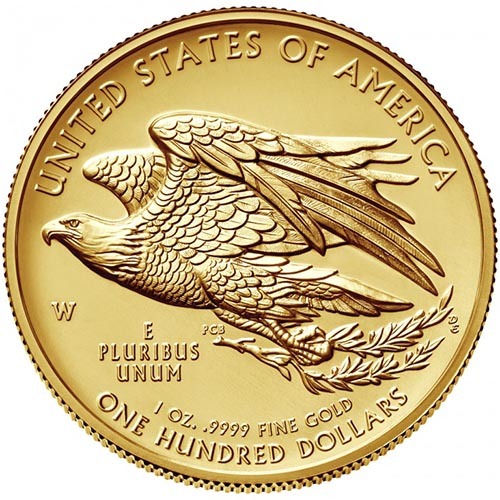 High-relief gold coins from the United States Mint were unknown prior to the 2009 issue of a restriking of the Gold Double Eagle designs as Augustus Saint-Gaudens intended. 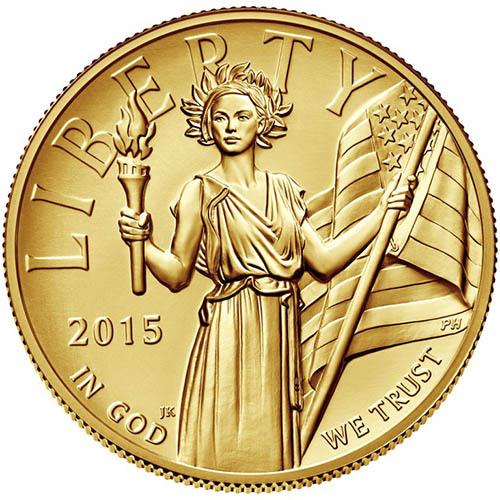 2015 saw the introduction of a new design for Liberty and the American bald eagle on a second high-relief gold coin. Right now, 2015-W 1 oz Gold American Liberty High Relief Coins are available to purchase online at Silver.com. Ships to you inside of a US Mint box with a Certificate of Authenticity included! Mintage limited to 49,325 coins only! Bears a face value of $100 (USD) backed by the federal government. On the obverse side is the image of Liberty. The reverse face of the coins include the American bald eagle. 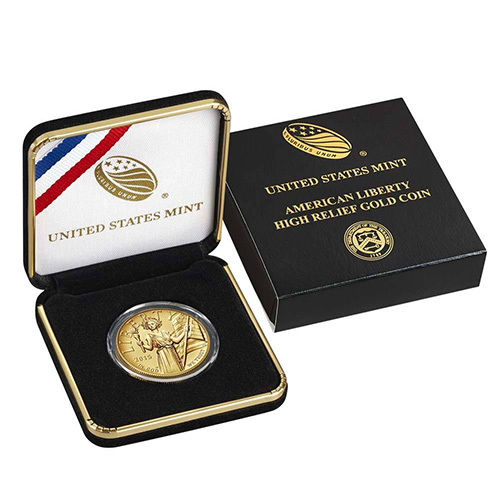 Each of the 2015-W 1 oz Gold American Liberty High Relief Coins in this listing come to you from Silver.com with the original United States Mint packaging. The US Mint houses these coins individually inside of a protective capsule with a US Mint commemorative box. For each of the coins, you’ll find a Certificate of Authenticity available with purchase. The United States Mint issued these coins only in 2015 with a fresh design of Liberty and the American bald eagle not featured on other US gold coins. High-relief gold coins feature 3D designs that come as a result of a striking process that includes intense pressure. The reverse face of 2015 Gold American Liberty High Relief Coins features a unique image of the American bald eagle. This design of the bald eagle captures the majestic bird in flight with powerful wings spread and its sharp talons clutching tightly to an olive branch. All 2015-W 1 oz Gold American Liberty High Relief Coins are available from the United States Mint’s West Point Mint facility. The coins are issued with a “W” mint mark that has been struck onto the reverse side of the coin. If you have any questions for Silver.com customer service, you have many ways to reach us. You can call us at 888-989-7223, chat with us live online, or simply send us an email.